A warm and friendly welcome awaits at Le Vere House, situated a short walk from the seafront, shops, restaurants, pier and beautiful gardens. 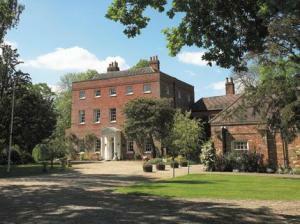 Le Vere House is well placed for visiting Colchester, with its castle, museums and zoo. The house is 30 minutes' drive from beautiful 'Constable Country'. This Premier Inn hotel has free parking and family-friendly rooms, located within Festival Leisure Park, easily accessed off the A127 road. 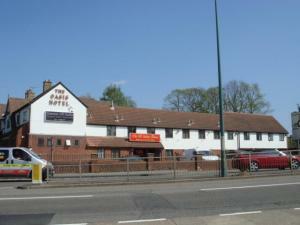 Beside a lake, the Premier Inn Basildon (Festival Park) has a pub-restaurant and is very close to a David Lloyd Fitness Centre. Some rooms can take 2 adults and up to 2 children (under 16 years). The 2 children also get a free full breakfast when accompanied by an adult eating a full breakfast. The full all-you-can-eat breakfast has the expected cooked items, including vegetarian sausages, as well as a wide continental selection. The Essex County Hotel is the only hotel in the seaside resort of Southend to be able to offer 75 luxury rooms, a 120-seater quality restaurant and 2 licensed bars. With several dining and conference rooms, the hotel can comfortably accommodate parties of anything from 2 to 250 people. 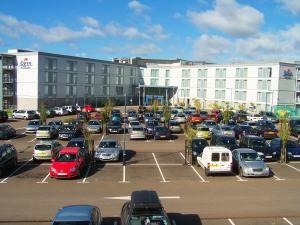 There are 75 well-equipped en suite rooms and ample free car parking available for all guests. The hotel is also fully licensed to carry out wedding ceremonies and equipped to host your evening reception. With free airport parking for 7 days, the hotel is 350 metres from Harlow Mill Railway Station and less than 10 miles (16 km) from both London Stansted Airport and the junction of the M25 and M11. The Oasis Hotel makes a convenient base for those flying via Stansted Airport. 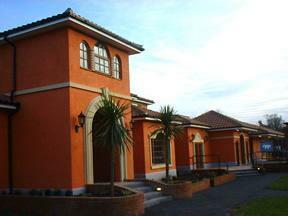 The rooms are of a high standard and airport transfers are available. Harlow Mill Railway Station offers regular services to and from Stansted Airport, London Liverpool Street, Cambridge and Stratford (London). The number 510 bus runs every 20 minutes, 24 hours a day, between the hotel and the airport. The hotel also has a good location from which to visit Lakeside and Bluewater shopping centres and all the attractions of central London are accessible via the M11 motorway or the train and Tube. The hotel also boasts 2 excellent restaurants, one offering Chinese food and one serving Indian cuisine. Around 7 minutes from Stansted Airport, this accommodation offers quality rooms, competitive prices and transfers to/from the airport and Elsenham Rail Station. Stansted Lodge Ltd. offers transfers to the airport from 04:00 (free), and from the airport until 22:00 (additional cost). Elsenham Rail Station transfers are free. 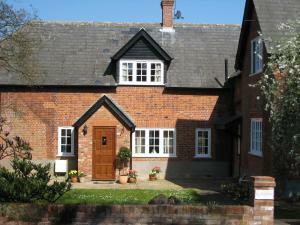 Located in the lovely village of Elsenham, Stansted Lodge is about one mile due north of the airport. Staff pride themselves on providing clean, secure and warm rooms, with an even warmer, friendly service. A laundry facility is available. The accommodation is walking distance from Elsenham train station which gives direct access to London Liverpool Street or Cambridge. Stansted Lodge is not located under a flight paths, so no planes fly overhead. Stay at the Rivenhall Hotel and experience the perfect venue for all occasssions. 3 Star Property. Easy access to M25 & M11. Hi-Life Health Club. Free Guest Parking. The Rivenhall Hotel is located in the heart of Essex, just off the A12 between Chelmsford and Colchester and only a short drive from the unspoilt countryside of East Anglia, making it an ideal base for business and leisure guests. 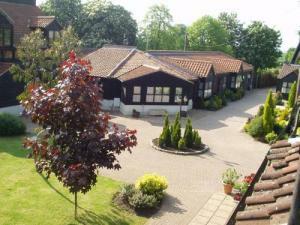 With the Roman City of Colchester and its Castle just a short distance away this is a great location for a short break. The hotel is on the doorstep of East Anglia and there are loads of attractions to visit nearby, including the fishing village of Maldon, Colchester Zoo and Tiptree Preserves visitor attraction. For retail therapy and entertainment, Freeport Designer shopping village with over 60 outlets, is only a 10 minute drive away. 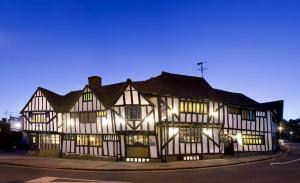 This hotel is situated in the picturesque Essex village town of Rochford, less than a mile from the airport and 200 yards from the mainline railway station. Free car parking is provided. 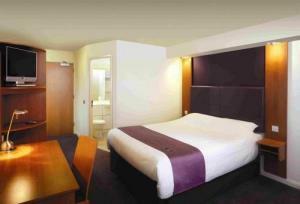 The hotel has been completely refurbished and now provides a chic and contemporary environment. Free Wi-Fi access, a free gym, free tea, coffee, muffins, cookies, fruit and bottled water are available 24 hours a day from Raid the Larder. The lobby bar and brasserie serves guests in calm and relaxing style. Maison Renouf prides itself on excellent service. Only 16 miles (26 km) from Stansted Airport and just minutes from the M11/M25, this 14th century former coaching inn now offers comfortable en suite accommodation in this quiet village. 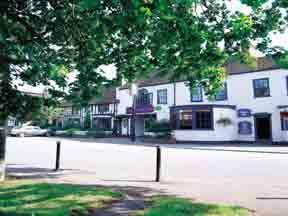 The Green Man Hotel has a quiet, peaceful location in the charming little village of Old Harlow. There are 55 well-appointed en suite rooms in the annex at the rear of the hotel. During your stay, you can enjoy the relaxed atmosphere of the Green Man Pub and Restaurant, which offers fine food and drink. The traditional bar and restaurant still houses many original features. The exposed wooden beams are of such historic significance that the building has acquired listed-building status. On some dates, the restaurant can be closed due to private functions taking place. Free on-site parking is available for guests. If you are flying from Stansted Airport, the hotel can offer free parking for up to 2 weeks if you book to stay for at least 2 nights. 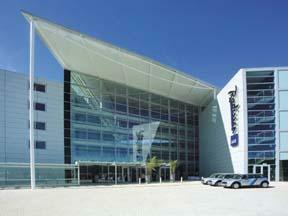 Transfers are not included, but the hotel can help with information regarding reaching the airport.